The life of a boat also depends on the quality of paint applied to the hull but also underwater. Primary, lacquers and varnishes are our daily works and we offer a wide range of references with a revolving stock. 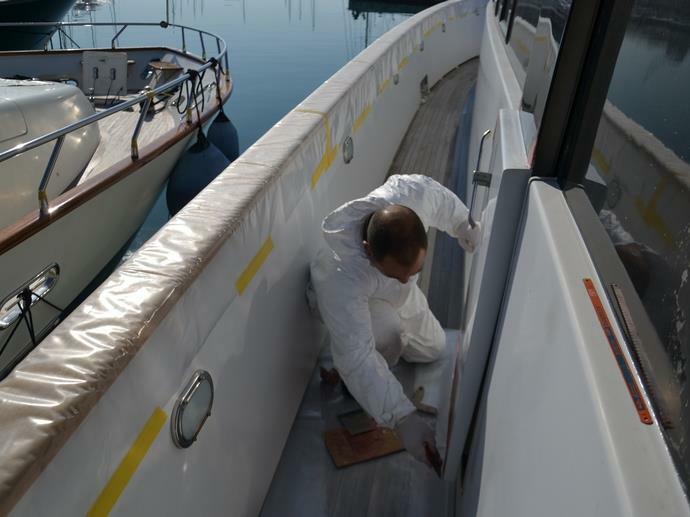 Our work also includes antifouling treatment work, kind of work daily realized on many boats. We can also accommodate your most specific enquiries, and give great attention to each of our yachts on our 2000m² work area.